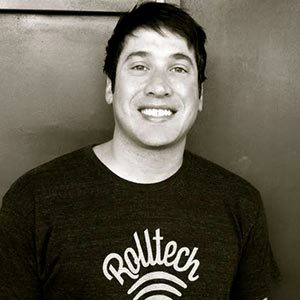 Rich is the founder and CEO of Rolltech. Prior to founding Rolltech and after graduating Pitt Law, Rich started his career in the poker industry where he served as VP of Industry/Player Relations at Card Player Media. In this role he managed business affairs for a variety of high profile poker players and industry partners. He founded his first company, Mercury Management & Development, in 2008. Through MMD, Rich has been involved in a diverse range of startup companies and entrepreneurial endeavors. In early 2011, he served as VP of Business Development for SillyBrandz Global where he worked alongside inventor and CEO Robert Croak, analyzing deal flow for partnership and investment. Rich has been focused on advancing the sport of bowling since Rolltech’s inception in late 2011. Headquartered in Downtown Las Vegas, Rolltech is a global competition platform that allows bowlers to track their scores and stats in real-time and foster connection with bowlers around the world. With active users in more than 3,500 bowling centers and 40 countries, Rolltech’s mission is to change the way the world plays, watches, and interacts with the sport of bowling. An exclusive technology partner of the PBA, Rolltech is currently auto-enabled in centers throughout the US. Rolltech auto-enabled centers have access to a powerful analytics platform and real-time communication tools for their bowlers, facilitating a lasting connection between bowler and center.